Red SUV/Crossover with beige inside. It has air conditioning and power locks and has 17 inch wheels. GCC spec RAV 4 from 2015 with a 4 cylinder engine. Black SUV/Crossover with beige interior. It has tuner/radio and power windows. GCC spec automatic, 18 inch wheels, bluetooth system, fog lights, other color interior, grey/silver exterior. Imported spec Toyota with Airbags (front and side), 16″ wheels and DVD-player. Price reduced! 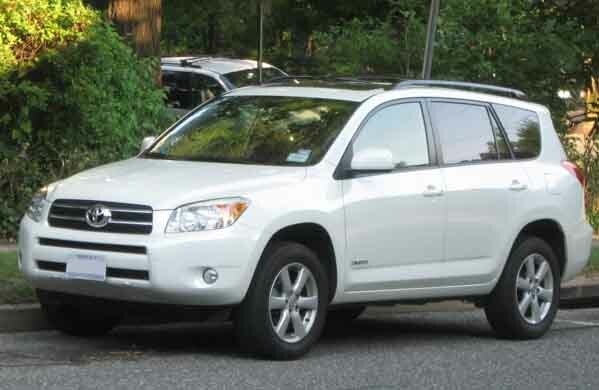 This is a grey/silver SUV/Crossover with grey inside and ABS, airbags (front and side) and 16″ wheels. 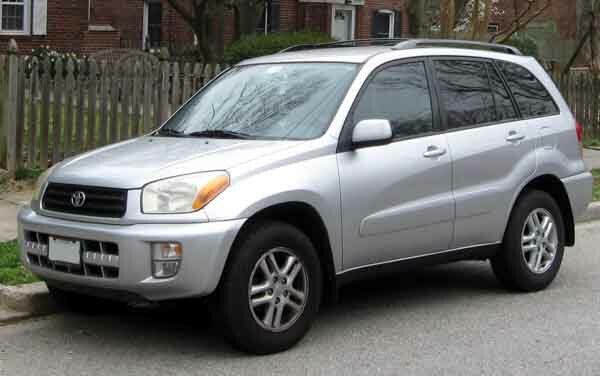 Automatic 2010 Toyota RAV 4 with 18 inch wheels, tuner/radio, ABS, black interior, grey/silver exterior. GCC spec 2015 Toyota featuring bluetooth system, air conditioning, ABS. White with beige interior. Imported spec 2008 Toyota featuring CD player, air conditioning, tuner/radio. Grey/Silver with beige interior. Automatic 2017 Toyota RAV 4 with 17 inch wheels, ABS, power locks, black interior, grey/silver exterior. Imported spec Toyota with Sport suspension, 17″ wheels and 360 Degree camera. Price reduced! AED 27,000 for this Imported spec, brown 4 cylinder SUV/Crossover with beige interior. It has off-road kit and USB. Imported spec Toyota RAV 4, grey/silver SUV/Crossover with black interior. It features DVD-player, 18 inch wheels and keyless go. Imported spec white SUV/Crossover, tan interior with bluetooth system, alarm and a 4 cylinder engine. Green SUV/Crossover, grey on the inside with leather seats and keyless go. 18″ wheels. Imported spec 2016 Toyota featuring roof rails, power windows, USB. Grey/Silver with tan interior. 4 cylinder black 2015 SUV/Crossover. Black interior. MP3 interface, 18 inch wheels and keyless go. Price: AED 49,000. Automatic 2016 Toyota RAV 4 with 17 inch wheels, all wheel drive, air conditioning, tan interior, purple exterior. Imported spec 2015 Toyota RAV 4, black SUV/Crossover with beige interior. It features USB, 17 inch wheels and leather seats. Black 2007 4 cylinder SUV/Crossover. Beige interior. It has fog lights and alarm. Imported spec RAV 4 from 2016 for AED 54,500 with a 4 cylinder engine. Red SUV/Crossover with beige interior. It has power windows and 4WD. Opportunity! A 2015 grey/silver Toyota RAV 4 now available at a reduced price. 2007 Toyota RAV 4 with Xenon headlights, 15″ wheels and Tuner/radio. Price reduced! 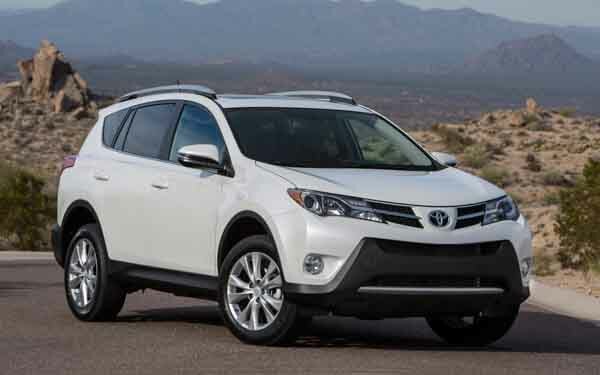 Automatic 2014 Toyota RAV 4 with 17 inch wheels, climate control, leather seats, grey interior, grey/silver exterior. Imported spec. 2014 Toyota RAV 4 with climate control, USB, roof rails. It has black interior and is Black. AED 48,000 for this Imported spec, grey/silver 4 cylinder SUV/Crossover with tan interior. It has power windows and fog lights. Automatic, 17 inch wheels, roof rails, off-road kit, black interior, white exterior. Price: AED 59,500. Iraaj - My RAV 4 LE AWD is a Great car for road trips and camping, I can fit all my friends and camping gear inside and from time to time I do a bit of off-roading. Pros: Spacious, fuel efficient and options are great. Cons: Can be down on power especially off road. Salam - I got my pre owned 2010 Toyota Rav 4 for a good price. Good four wheel drive and very good fuel economy with its 2.4 litre engine, it gets me to where I am going and that's what I need. I highly recommend anyone to buy used Toyota Rav 4 in Dubai, UAE. Pros: Cheap fuel and practical. Cons: Can be sloppy at times. Lana - I bought my 2005 Rav 4 a few months ago. Fantastic little car and does a decent job when off roading. I have noticed from time to time some dashboard lights flash on and off at random, but this could be due to old age. Pros: Does what it’s supposed to and is good on fuel. Cons: Could use a little more power. Even though it doesn’t appear long, it fits up to five adults comfortably and has enough room in the back to throw all the camping equipment in there. It may not be the Land Cruiser or LX 570 however it comes with a large variety of options and always offers something for everyone to enjoy. It’s got the looks, and it knows how to use them. In a flooded market of SUV’s, 2016 models not only stands out as the breadwinner regarding specs, but it's also got the looks. They’re certainly built to last. It’s a common sight the Rav 4 is and it doesn’t know what age it is. As number four mentioned, they are in huge demand as well in turn leading to significant resale value. Possibly one of the newest Toyota’s in the market, it made its debut back in 1994. It hit the GCC market shortly afterwards and was a huge success with parents and those who wanted a budget SUV. When introduced, it was available in two forms, long wheel and short wheel base and throughout its lifespan, it won a lot of awards. Over the years it's had many rivals including the likes of the Honda CR-V, Mitsubishi Outlander, Nissan X-Trail and Mazda CX-5 and a few others, there's always stiff competition in the SUV market, and Toyota want to keep their prized possessions at the very top. 2001, saw the second generation of the Rav 4 roll of the production line. Available in long wheel and short wheel base, power come from a 2-litre inline four cylinder engine. 148 horsepower is channelled to all four wheels via a 5-speed manual or 4-speed manual gearbox. Options at the time included keyless entry, CD/Player, power windows, 16-inch rims, rear spoiler and enough room for four or five people. Towards the end of the generation, Toyota aimed to spruce up the line-up with a “sports” body it that gave the cars a lower stance. Models in this generation consist of L, S and J. 2006 saw quite the refresh to the plucky Japanese cars. Gone is the short wheelbase and standard features now include air conditioning, power windows and central locking. Additional options include cruise control, powered front seats, leather upholstery, moonroof and rear parking sensors. Safety features were present across the range and included airbags, ABS brakes paired with Brake Assist, Traction Control, Stability Control and more. Over the duration of six years, there were minor nips and tucks in various areas. The enhancements weren’t limited to the interior and exterior, underneath the bonnet is a 2.4-litre four cylinder petrol engine driving all four wheels or the front wheels via the same transmissions. No rated at 168 horsepower, up by 20 hp, top speed is capped at 184 km/h. An import V6 option is available from America. 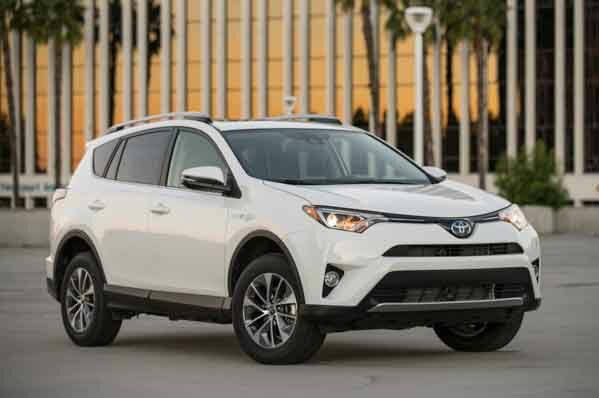 After six years, Toyota gave the Rav 4 a complete overhaul to the exterior, interior and they revised the suspension package for a smoother ride. This period also introduces the new trim levels into the GCC markets, starting off with EX this level featured all the necessities such as fabric upholstery and 17-inch rims. EXR, GXR and VXR trim levels are up next, and all come standard with electric windows, Bluetooth, AUX and USB inputs, keyless entry and electric mirrors. Additional options include rear parking sensor, roof rails, keyless start and cruise control. Top of the range four-wheel drive models including the VXR 4WD benefits from leather seats, electric front seats, rear camera, navigation system and 18-inch alloy wheels. As far as safety is concerned, all trim levels are equipped with ABS, EBD and twin front airbags. Those looking for a XLE AWD or Limited trim level will have to export one out of America. Engine displacement is increased to 2.5-litres, and the amount of cylinders stays the same. Horsepower increases again this time around to a total output of 176 horsepower which is sent to the front wheels or all four of them via a 6-speed automatic or new 6-speed manual gearbox. Sporting a similar design to the previous three years, a tighten front end has been slapped on to breath some new life, indeed a good thing in this day and age. There is also a switch up within the trim rank as now EX and VX both come with front wheel drive now and VX.R and the rest all stick with a four-wheel drive setup. Options for all trim levels and the engine remain the same with only the 6-speed manual being dropped from the list. Hybrid powertrains are available as well.